An automatic shotgun, a light machine gun, and more. It looks like a bunch of new weapons are coming to Fortnite: Battle Royale, thanks to a datamine by Fortnite site Storm Shield One. It’s unclear when or if these weapons will actually be added to the game, but they’re in Battle Royale’s files as of the 3.1.0 update. In total, six new weapons were found. The weapons include two new shotguns, an Automatic Shotgun and a Break Action Shotgun, and a couple of light machine guns, too. They’re all of varying rarities, all the way from Uncommon to Legendary. 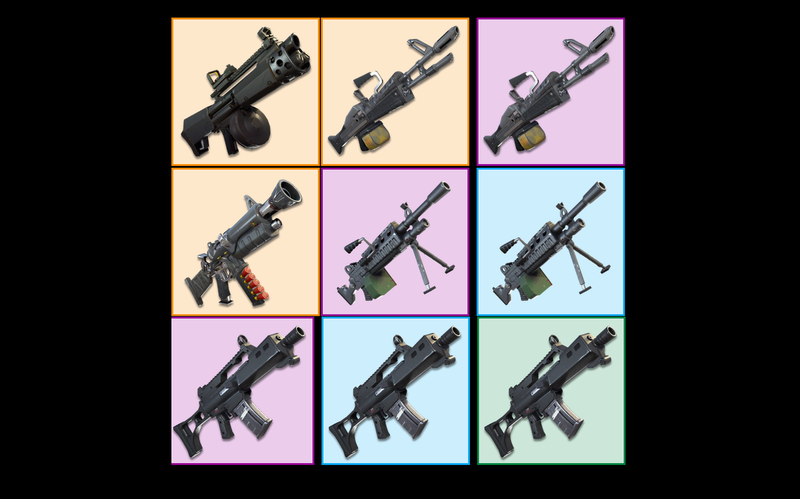 It’ll be interesting to see if these weapons will make it to Battle Royale in the coming weeks, as well as if and how they change the way the game is played.